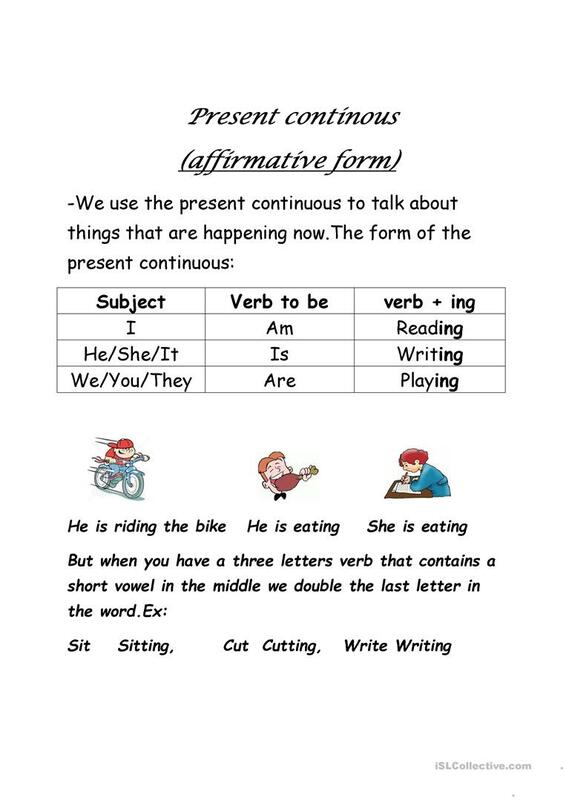 An easy illustration and exercises for present continuous -affirmative form hope u like it! 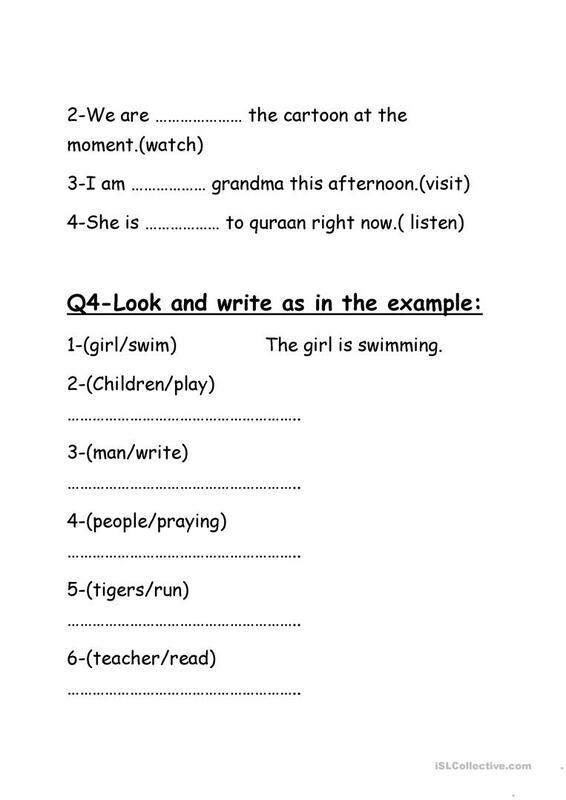 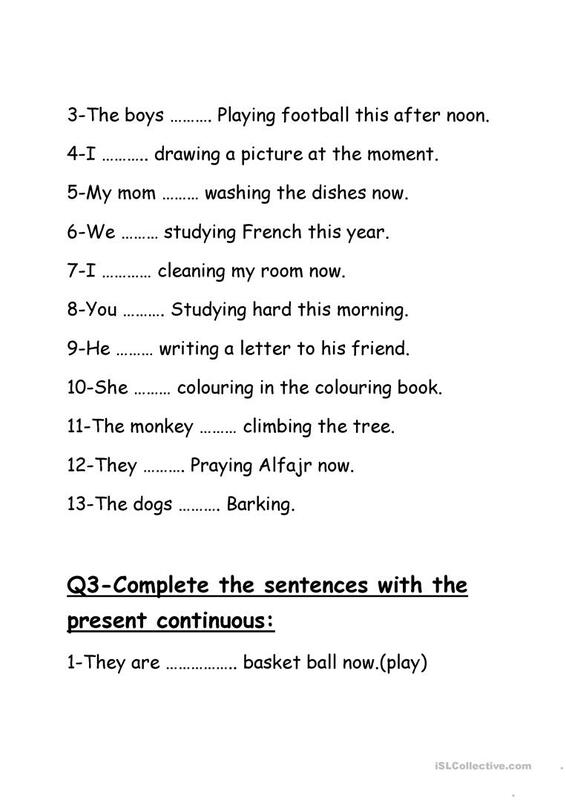 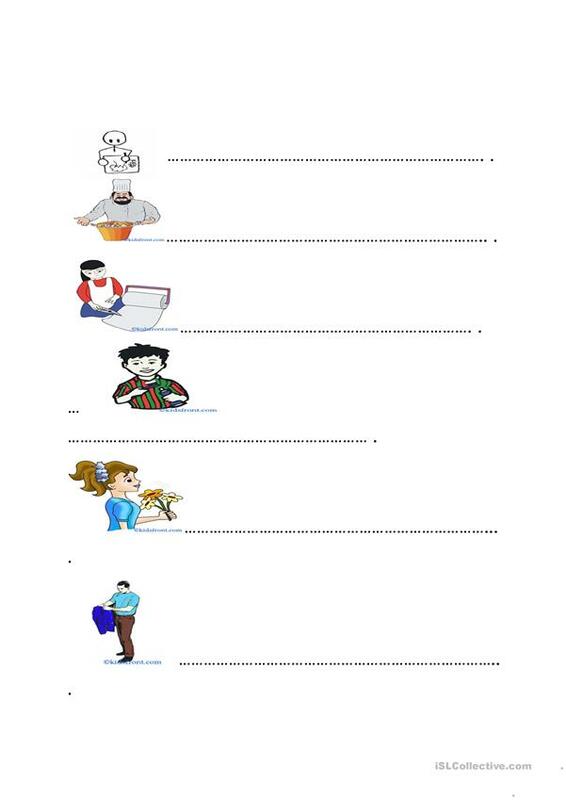 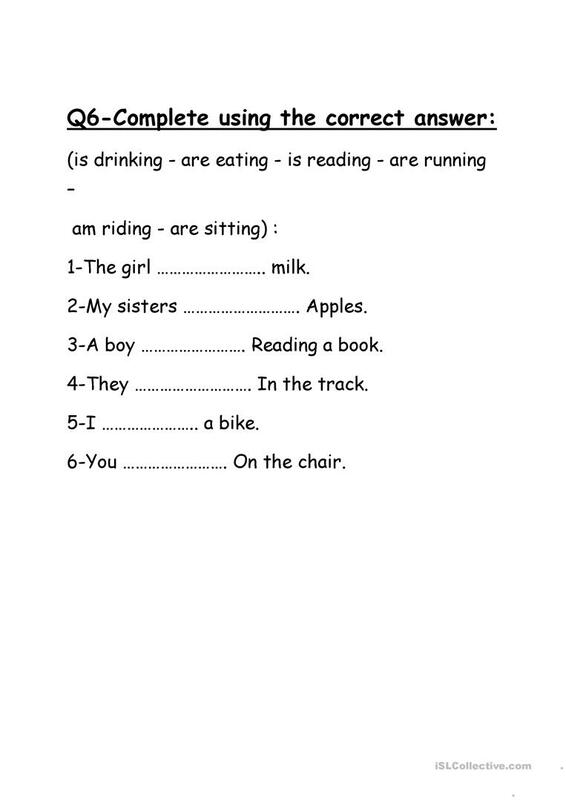 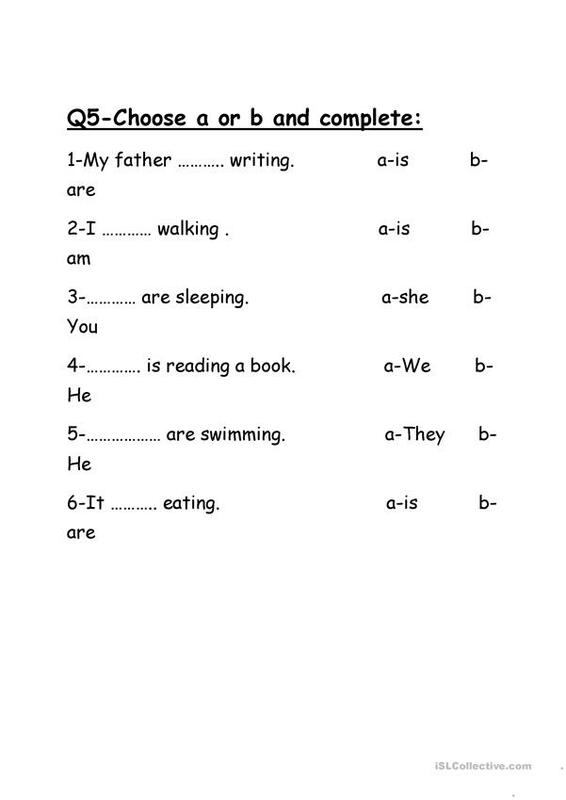 The present downloadable printable is meant for elementary school students at Beginner (pre-A1) and Elementary (A1) level. 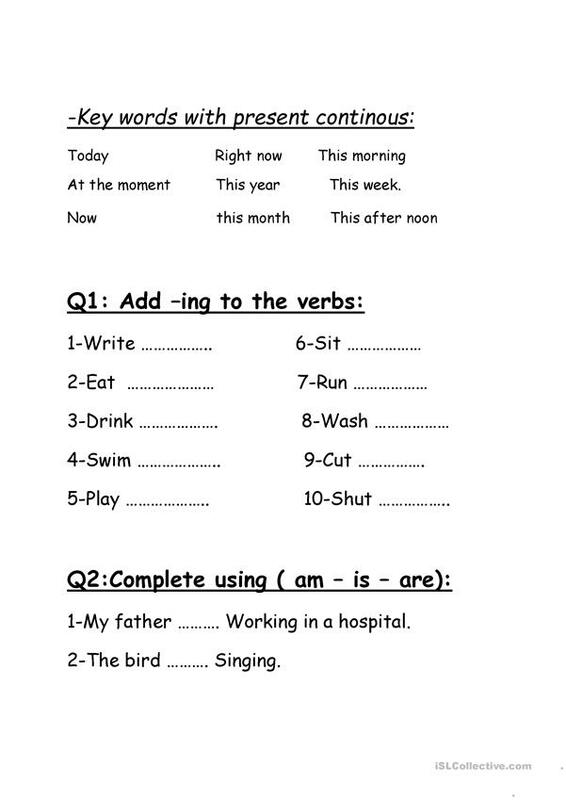 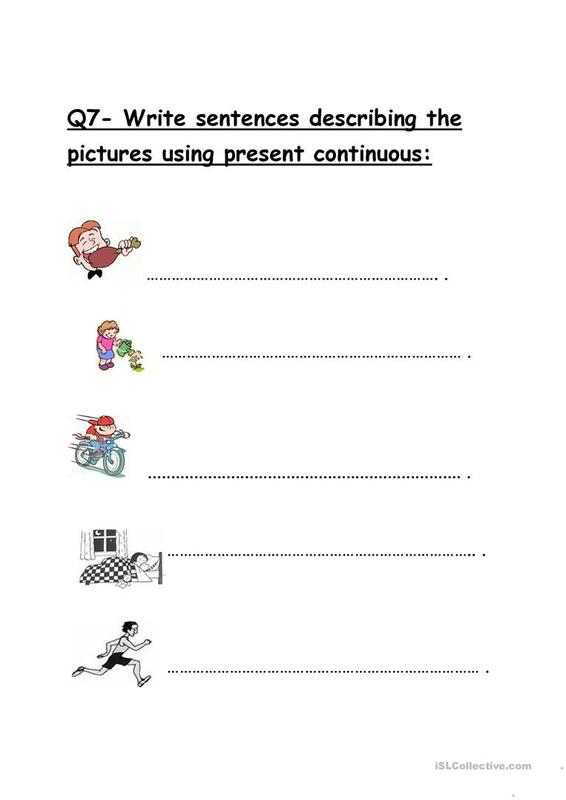 It is aimed at revising Present continuous (progressive) tense in English. poosy is from/lives in Egypt and has been a member of iSLCollective since 2012-07-04 11:13:26. poosy last logged in on 2018-09-28 10:04:39, and has shared 17 resources on iSLCollective so far.